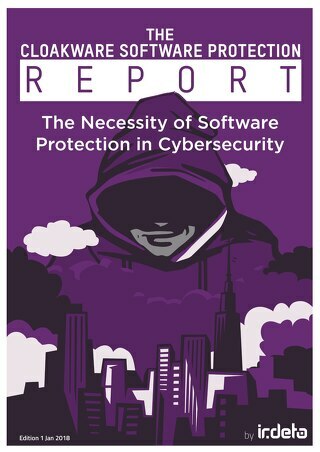 Secure Environment forces hackers to expend an improbable amount of effort to break into vehicles, making them move on to softer targets that aren’t as well protected. 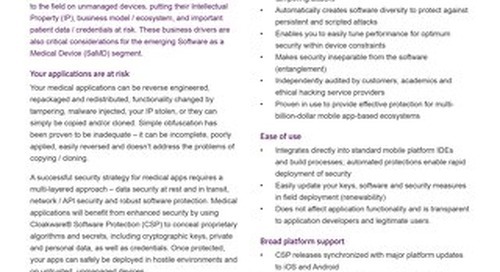 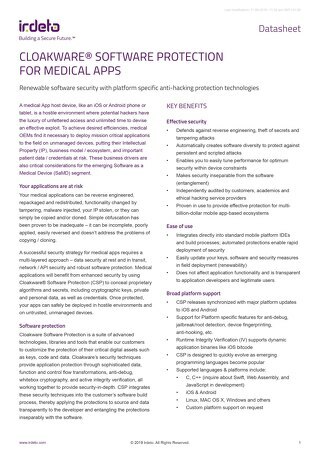 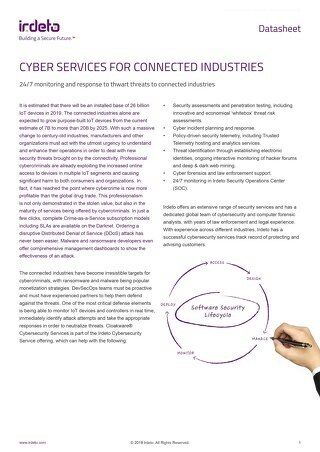 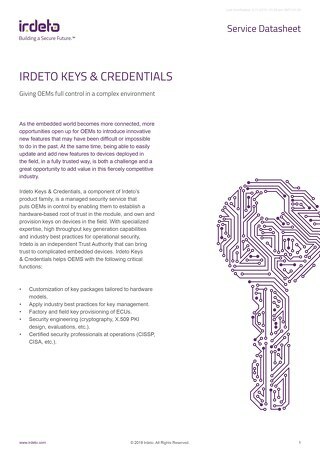 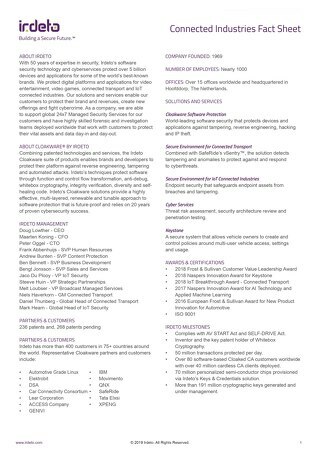 Irdeto Security Services can help OEMs with security assessments, cyber incident planning and response, policy driven security telemrety, cyber forensics and low enforcement support. 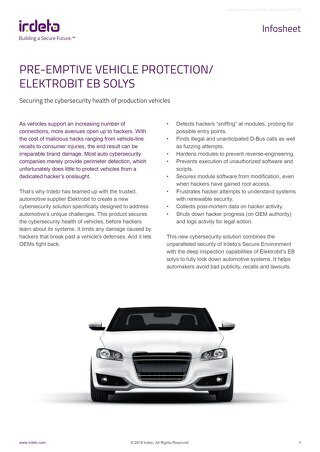 The Irdeto-Elektrobit solution secures the cybersecurity health of vehicles, before hackers learn about its systems. 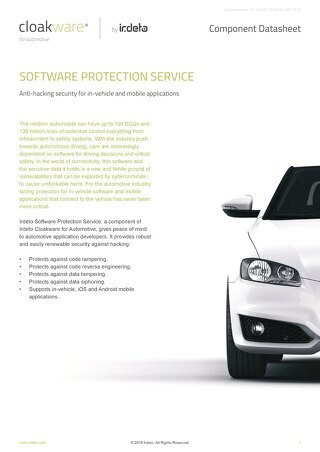 It limits any damage caused by hackers that break past a vehicle’s defenses. 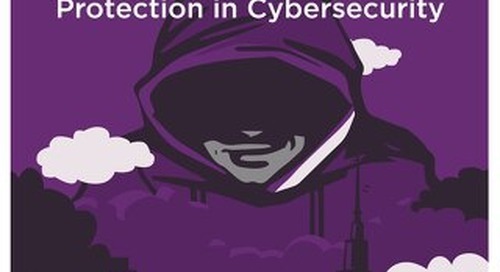 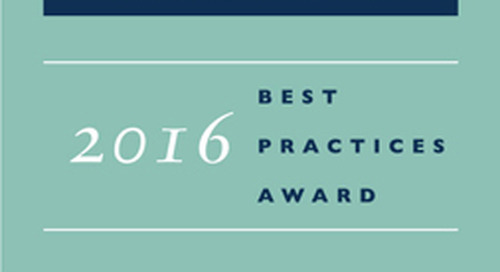 Penetration testing is an important part of cyber risk management. 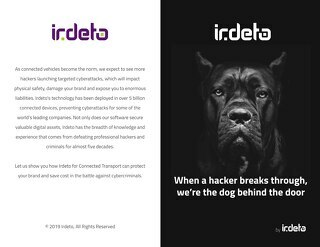 Irdeto’s team identifies security holes in much less time than teams using blackbox testing, taking weeks rather than months. 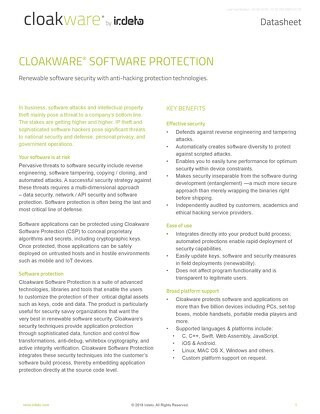 Helps OEMs with customization of key packages tailored to hardware models, industry best practices for key management, factory and field key provisioning of ECUs, security engineering. 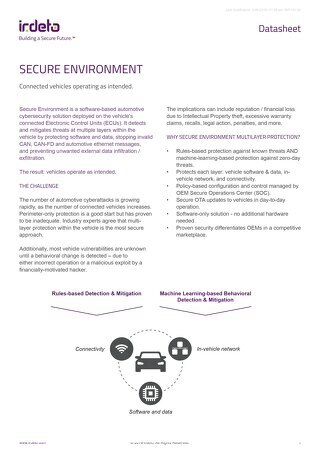 As connected vehicles become the norm, we expect to see more hackers launching targeted cyberattacks, which will impact physical safety, damage your brand and expose you to enormous liabilities.